t was right out of a movie or riveting crime novel. Dubravka Romano was in London for meetings with reinsurance underwriters in March 2013 when the phone rang. “Are you sitting down?” a caller asked the associate executive director for risk management services with the Texas Association of School Boards. Whenever such a foreboding rhetorical question is posed, it’s almost always followed by terrible or shocking news. In this case, a red flag waved wildly back in the Lone Star State. Roughly $200,000 worth of self-funded workers’ compensation payments made to a medical provider were curiously traced to one of TASB’s most trusted, respected and affable employees – in a supervisory role, no less. Hmm, she thought. There must be much more to the story than meets the eye. Indeed, there was. Suspicious activities led investigators to uncover a series of brazen crimes committed intermittently over a decade using three separate theft schemes and two fictitious vendors. The culprit was none other than Herman G. Wilks, director or TASB’s workers’ comp claims administration who later pled guilty to charges of embezzling more than $1 million from the fund’s workers’ comp and employee benefit programs. It was a fox-guarding-the-henhouse moment that shattered trust and stirred emotion right alongside the terrible toll it took on time, financial matters and morale. Romano was dumbfounded. When she first confronted Wilks, there was a long and uncomfortable silence – confirming her fear that serious wrongdoing had been committed. 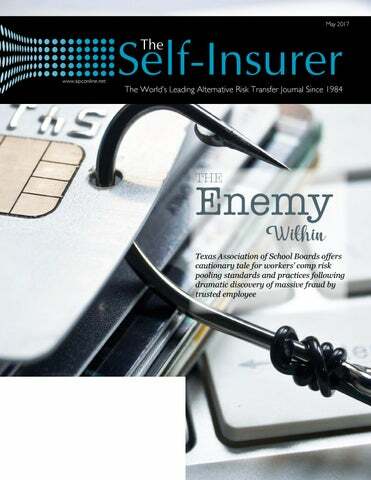 Fraud-prevention strategies What makes this story even harder to comprehend is that massive fraud took place at TASB in spite of rigorous annual audits, regular external reviews by reinsurance partners, an active internal audit function and regularly scheduled policy reviews that adhered to industry standards. Could a similar scenario occur within other self-insured entities? Apparently so, according to Romano. Upon hearing the details of her account, several people have sheepishly admitted to uncovering fraudulent activity in their own organization, though on a smaller scale. present to your board of trustees or the public that you’re doing everything you can to detect and prevent fraud,” Bacon explains. After nearly 40 years in business, Bacon has never heard of anything quite like TASB’s tale occurring among peers. Fraudulent or criminal behavior in this sector is exceedingly rare, reports Ann Gergen, executive director for the Association of Government Risk Pools. The group’s mission is to provide public entity risk pool education and networking, as well as operational and best practices support, to more than 200 members in the U.S. There are 78 AGRiP recognition standards that are based upon a self-audit process for these pools to follow and continually improve over time. Peeling back the onion When TASB investigated Wilks’ wrongdoing, Romano and her crew wondered how he went undetected for so long. Eventually they learned that he had requested a report on large hospital bills to identify actual workers’ comp claimants who received medical implants. In addition, two separate internal control audits by a Big 4 accounting firm were done to determine how the theft occurred before a U.S. attorney began prosecution. TASB soon discovered that Wilks was able to circumvent a four-step claims adjudication process because of his intimate knowledge of the system. But he obviously tripped himself up along the way. The dead giveaway was having an employee with his own LLC, surmises Stu Thompson, CEO of The Builders Group, a construction self-insured group started in 1997, and member of SIIA’s Workers’ Compensation Committee. “I was amazed at how much he was able to get away with, especially over a long period of time,” he says of Wilks. A key takeaway from Romano’s presentation is to know who’s being paid, whether they’re staffers or contractors, according to Thompson, and ensure that all necessary forms that must be filed are accurate, including name, address, federal ID number, etc. The information was then used to create fictitious medical bills with codes for implantables into the claims system with a slightly altered date of service to circumvent system controls that were in place to detect duplicate payments. Payments were surreptitiously entered, adjudicated and released after work hours. Wilks also changed the address for a claimant’s explanation-of-benefits form in the system to his own so that it would not go to the employee, then changed back the address after the check was issued to himself. The crime triggered a comprehensive probe by a former FBI agent whom Romano describes as “straight out of Central Casting with a crew cut, blue suit, white shirt and dark tie.” Since TASB is a public entity with dismayed taxpayers to consider, this theft necessitated the involvement of additional law enforcement officials. House Overwhelmingly Passes SIIABacked Self-Insurance Bill – Seeking Similar Senate Result When the U.S. House of Representatives approved H.R. 1304 The Self-Insurance Protection Act (SIPA) by a landslide vote of 400-16, SIIA and the self-insurance industry were halfway toward gaining strengthened protection against the government being able to define stoploss insurance as health insurance with all the resulting taxation and regulatory challenges. It remains for the U.S. Senate to pass comparable legislation for the industry to breathe a great sigh of relief. said Larry Thompson, chairman of SIIA’s regional president of Pomco Administrators, Inc. of Fresno, California, who has nearly 30 years of involvement with the organization including a term as chairman. A pivotal point in SIPA’s progress in the House was the hearing by the House Education and Workforce Committee titled “Legislative Proposals to Improve Health Care Coverage and Provide Lower Costs for Families” on March 1, 2017. Health care, of course, had been the hot topic in Washington as the administration and House leaders attempted to repeal and replace the Affordable Care Act (ACA). Even as that attempt was suspended, observers note that the appetite for health care coverage improvements had been stimulated. Jay Ritchie, SIIA chairman and executive vice president of Tokio Marine HCC Stop-Loss Group, testified that morning, delivering a ringing endorsement for SIPA based on the coverage provided for an estimated 100 million Americans by self-insured employers and Taft Hartley plans. Much of his testimony dealt with the importance of stop-loss insurance to plans that are not large enough to self-fund the largest claims. “Stop-loss is what makes self-insurance work,” he said. “If regulators are permitted to redefine stop-loss coverage as health insurance, the availability and access to stop-loss will be significantly reduced. This would eliminate the most valuable aspects of self-insurance and restrict plans to a limited amount of health insurers. This would also lead to self-insurance being available for the largest organizations and we would see its benefits and advantages eliminated for the small- and medium-sized organizations that need access to it the most.” Ritchie told committee members that SIPA simply seeks to amend the definition of “health insurance coverage” under the Public Health Services Act (PHSA) and parallel sections of ERISA and the Tax Code to clarify that stop-loss insurance is not health insurance. The legislation does not amend the ACA and – a popular point with legislators – it carries no cost. Now SIIA’s campaign continues in the Senate to protect the ability of self-insurance to be the most efficient and effective form of U.S. health care. SIIA member inquiries about this or other federal government relations issues are welcome to contact Ryan Work at rwork@siia.org or (202) 595-0642. The new regulation changed a stop-loss policy aggregate attachment point to 110 percent of expected claims for groups of 51 or fewer – leveling the playing field between large and small employers related to the level of stop-loss insurance they can access in the marketplace. Previously the aggregate attachment point for small employers was set at the greater of $4,000 per group member or l20 percent of expected claims. The specific attachment point for claims incurred per individual remained unchanged at $20,000. “It was apparent that the $4,000 per group member attachment point presented significant financial challenges to smaller businesses,” Brackemyre noted. New Minnesota stop-loss insurance regulations enacted by the legislature are expected to make self-insurance of employee benefit plans less costly and more convenient for the state’s small businesses. “The new law allows employers more options and possibly lowers their costs,” reports SIIA Vice President of State Government Relations Adam Brackemyre, who led SIIA’s advocacy of the new law that was pursued for eight years by state business organizations. “The lessons for future government relations projects is to be persistent, set realistic goals and be ready to compromise,” Brackemyre said of the campaign initiated in 2009 by the Minnesota Association of Health Underwriters (MAHU). The resulting regulations could comprise a goal model for future regulations in other states, he said. The other significant element of the law was to change stop-loss contract terms from 12-24 to 12-15, meaning the “run-out period” of claims submission and payment was reduced from 12 months following a12-month period of claims incurrence to three months following a 12-month period. “This should also help reduce costs for plan sponsors,” Brackemyre said, explaining that plan sponsors would now be less vulnerable to claims they didn’t expect. These significant changes in the rules governing Minnesota stop-loss insurance have been a continuing effort initiated by Dave Wiest, Legislative Chairman of MAHU, who is president and CEO of EMEX Benefit Systems, Inc. of Medina, Minnesota. self-insurance would ruin the small group market. “But when the Chamber got involved it changed everything,” Wiest said of the welcome participation on the issue by the Minnesota Chamber of Commerce along with the National Federation of Independent Business (NFIB). Wiest noted that the Chamber’s and NFIB’s vast membership of state employers weighed heavily with legislators. “Even with our united effort and some Democratic support, we still lost out for seven years as bills failed to pass both houses or were vetoed by the governor,” Wiest said. He described this year’s compromise breakthrough when Gov. Mark Dayton (D) allowed the legislation to go forward with a stipulation that provides rebates for state health care exchange policyholders ineligible for advance premium tax credits (APTC). The revised stop-loss regulations have sparked new interest among stop-loss insurance carriers in entering the Minnesota market, and should bring increased interest by employers to sponsor self-insured health plans, according to Wiest. “Now our mission is to educate our industry here in Minnesota and through them, the employers,” he said. SIIA Chairman Jay Ritchie has communicated his encouragement of SIIA members in Minnesota to participate in educational events with MAHU. “Joining in state advocacy efforts strengthens self-insurance in the eyes of each state’s government and business communities,” he said. MAHU held its Tech Expo last month with industry exhibits and presentations on the new stop-loss law, and will begin offering sponsorships next month for its annual fall convention. Information is available at the organization’s website www.emahu.org. Pinnacle is committed to our employees, to our profession, to our community, and most importantly, to you. A full-service actuarial firm, Pinnacle’s mission is simple: We’re here to provide professional expertise and superior customer service. Through data-driven research backed by clear communication, we work hard to ensure that our work is of substantial value to your business. You can trust Pinnacle’s commitment to work with you to look beyond today’s numbers in planning for tomorrow. fter five years of investigating small captives that choose the 831(b) tax option, the Internal Revenue Service has stepped up its investigations by releasing Notice 2016-66 last November and again listing captives to their annual “Dirty Dozen” list of potential tax scams. 831(b) captives are generally small to mediumsized companies that elect to take advantage of the Internal Revenue Service 831(b) tax code. Small captives are referred to by several different names—micro captives and Enterprise Risk Captives (ERCs) are two of them—but not all small captives take the 831(b) tax designation. Just like any other alternative risk transfer vehicle, these small captives must qualify as actual insurance companies. Opting for the 831(b) designation can give captives a tax advantage. What seems to be provoking the IRS’s suspicions of 831(b)s are their use for mitigating certain risks—especially regarding estate planning and wealth transfer—that may not qualify them as proper insurance companies. IRS’s Micro Captives For the third year in a row, the IRS has named captives operating under the 831(b) tax designation to their “Dirty Dozen” list—a list the department releases each year warning tax payers of potential tax dodges and scams. This list, released at the beginning of tax season, highlights tax schemes that target consumers. Called “micro captives” in the IRS press releases, it says that some captives using the 831(b) designation are using it for wealth transfer rather than insuring genuine risk. Notice 2016-66 Last November, the IRS issued Notice 2016-66 which named 831(b) captives as “transactions of interest” and sought to require additional financial disclosures. According to the IRS website, “Transaction of Interest” (TOI) is defined as a transaction that the IRS and the Treasury Department believe is a transaction that has the potential for tax avoidance or evasion, but lack sufficient information to determine whether the transaction should be identified specifically as a tax avoidance transaction.” With Notice 2016-66, the IRS requested specified entities to file additional financial disclosures by January 30, 2017—90 days after the Notice was issued. The captive industry has been very vocal in its disapproval. SIIA led the campaign to modify and withdraw Notice 2016-66, along with dozens of trade associations, captive managers, and regulators joining in, including a letter from Kevin Doherty on behalf of the Tennessee Captive Insurance Association. SIIA was one of the only industry groups to meet with the IRS to discuss their concerns regarding the notice. Their meeting had a direct impact on the IRS extending the reporting deadline by 90 days. Criticism was initially pointed towards the fact that there was no comment period before the deadline was set and that only 90 days was an unreasonable amount of time to put together the disclosures required. At the end of December, the IRS extended the deadline to May 1, 2017. Other points of complaint from the industry were the potential for duplicate financial filings and the broad requirements in Notice 2016-66 that sweeps up nearly all 831(b) captives. CIC Services, a Tennessee-based captive manager, has filed a lawsuit against the IRS and Treasury Department arguing that Notice 2016-66 was unlawfully issued and did not meet the authority or “reasoned analysis” requirements of the Administrative Procedure Act. The original lawsuit was filed last December and a second suit was filed at the end of March with Ryan, LLC, a Texas-based tax firm, named as co-plaintiff. Even with the deployment of the PATH Act and the upcoming decision in the Avrahami case, the IRS and the Treasury Department chose to list 831(b) captives as a TOI and continued listing them to the “Dirty Dozen” list. This has put the industry on edge. As Doherty said, “Legitimate domiciles, and most of us in the industry, are working very hard to make sure there are no abuses. Certainly there are people on the fringe who float in from time to time, captive managers that are a little bit questionable, but the regulators work hard to make sure guys like that don’t get licensed.” This year will be a proving ground for 831(b) captives. With the additional disclosures the IRS is seeking, the PATH Act requirements, and a Tax Court decision, 831(b) captives might finally see themselves clear of their controversy. The captive industry will be there to back them up. As Doherty said, “This is our business, we’re not going to be deterred.” Karrie Hyatt is a freelance writer who has been involved in the captive industry for more than ten years. More information about her work can be found at: www.karriehyatt.com. A U.S. Tax Court decision in the case of “Avrahami v. Commissioner” should be decided during the next few months. In this case, a Phoenix-based jewelry company is suing the IRS in response to a multi-million dollar notice of deficiency. The captive is suspected by the IRS of misusing the 831(b) tax designation as a tax-avoidance scheme. However the case is decided, case law will be established which will help define the tax designation. THE MENTAL HEALTH PARITY COMPLIANCE: REVAMPED FOR 2017 As noted in our October Self Insurer column1, comprehensive regulations have been issued under the Paul Wellstone and Pete Dominici Mental Health Parity and Addiction Equity Act of 2008 (“MHPAEA”), and we have seen an uptick in Department of Labor (“DOL”) investigation and enforcement activity with respect to the MHPAEA. We suggested in that column that employers focus on MHPAEA compliance. This article updates activity in this area since the election and the passage of the 21st Century Cures Act in December. Legislative Background The MHPAEA amended Section 712 of ERISA, Section 2705 of the Public Health Services Act and Section 9812 of the Internal Revenue Code, and is designed to require true benefit parity between medical benefits for physical conditions and mental health and substance abuse benefits. The MHPAEA applies to mental health and substance abuse benefits offered in connection with group health plans. If a plan provides medical/surgical benefits and mental health or substance abuse benefits, the plan must provide parity with respect to (i) financial requirements (e.g., deductibles, copayments, coinsurance and out-of-pocket maximums), (ii) quantitative treatment limitations (e.g., number of visits or treatments or days of coverage) and (iii) nonquantitative treatment limitations (“NQTLs”)(e.g., medical management standards). MHPAEA generally became effective for plan years beginning on or after October 3, 2009 (January 1, 2010 for calendar year plans). For years prior to 2010, the Mental Health Parity Act (MHPA), the precursor to MHPAEA, applied. MHPA’s more limited equality provisions only required parity between annual and lifetime dollar limits applicable to medical benefits and mental health benefits. We note that the MHPAEA pre-dates the Affordable Care Act (ACA). Accordingly, even if Congress undertakes to repeal and replace the ACA in 2017, a rollback of MHPAEA requirements is unlikely. Examples illustrating requirements for information disclosures and nonquantitative treatment limitations; and Descriptions of violations uncovered during the course of investigations. The examples will include sufficient detail to fully explain the findings, including a full description of the criteria involved for approving medical and surgical benefits and the criteria involved for approving mental health and substance use disorder benefits. This additional information in the Guidance Document should provide valuable assistance to employers seeking to confirm compliance with the MHPAEA. This can be very important given the potential for significant liability associated with noncompliance. Penalties Potential enforcement actions should be cause for concern for employers and insurers, as significant penalties can result under the Code. MHPAEA violations can give rise to a $100/ day/employee excise tax under Code § 4980D. Certain limitations and exceptions apply for employer sponsors of small fully insured plans as set forth in Code § 4980D.2 In addition to the IRS taxes, participant claims may be asserted and DOL might choose to sue employers for breach of fiduciary duty based on their failure to comply with MHPAEA. Summary Given the potential for significant penalties, employers should focus (or re-focus) their attention on compliance with the MHPAEA. Employers should watch for issuance of the Guidance Document and use that guidance to ensure their health plans comply with the MHPAEA. This will likely require coordination with insurers and claims administrators. References: 1 http://www.alston.com/advisories/mental-health-parity/pdf 2 Code § 4980D(d) provides an exemption from the excise tax for employers with between 2 and 50 employees. magine a scenario where an employer has a long-time reliable employee that suddenly has a stroke of bad luck and is diagnosed with stage four cancer after being relatively asymptomatic and having never been diagnosed with cancer previously. The employee works with a team of medical professionals to come up with a game plan for beating this terrible disease. The employee quickly begins what will hopefully be life-saving treatment as soon as a game plan is mapped out. The claims start rolling in and the treatment starts taking its toll. The employee starts missing an hour here and there for appointments – and then a few hours for appointments and sickness –and then full days of work during treatment. When the employee is at work, the employee struggles to perform normal job functions and the employee is now unable to work because the rigorous chemotherapy regiment. The employer pulls out the employee handbook and skips to page 42 – Employer Leave Policies. The employer starts reading, “In addition to FMLA, employees that have exhausted paid time off and FMLA may be eligible for an additional extended leave of absence; referred to as non-FMLA leave. This non-FMLA leave is created to comply with the ADA’s requirement to provide a leave of absence as a reasonable accommodation and will be offered in addition to FMLA. Thus the non-FMLA leave will not run concurrently with FMLA. Additional information regarding how to request this leave and the additional requirements associated with this leave is further detailed herein:” The employer’s wheels start turning: okay, this ADA leave doesn’t run concurrently with FMLA – great, that helps, but where’s the part about continuing health plan coverage? That must be in this handbook somewhere. The employer starts frantically turning pages looking for those magical words “employees are entitled the health plan benefits during a non-FM LA leave of absence.” But alas, no such wording is contained within the 163-page employee handbook. The employer’s internal dialogue starts racing. “How can this be? We never meant for our employees to be out sick and not have health coverage. Doesn’t the ADA say we have to provide coverage to employees while they’re out on leave?” So you ask, “What now?” The bottom line is that there is no stop-loss reimbursement for the cancer claims, and quotes for renewal just added a few extra zeros. No need to review the gory details in depth – but one can imagine what happened during the plan and stop-loss renewal. The employer’s bank account is looking bleak, as are the proposed stop-loss renewal rates. The employer starts shopping other options despite having been with the same stop-loss carrier for years. “How did I end up here? All I wanted was to take care of my employees and give them the best benefits possible. Where did I go wrong?” It’s intuitive to think that a leave of absence from employment is coupled with a continuation of health plan coverage, especially if the leave is illness related; to the dismay of many, however, a continuation of coverage (other than COBRA) isn’t always coupled with a leave of absence. As shown in the scenario above, many employers struggle to align their health plan documents with their employee handbooks (and other internal policies) which subsequently increases the potential for a gap to arise between all the relevant documents. While most federal and state laws do not require a continuation of coverage, employers can choose to provide the benefit of continued coverage – but if the employer wants to ensure stop-loss reimbursement, the terms of continuation of coverage need to be clearly spelled out not only in the employee handbook, but also in the health plan document. The health plan document is key to showing proof of continued coverage, especially in a situation where stop-loss is relevant. Many employers don’t even realize they have gaps between their policies and the health plan documents until it’s too late. All it takes is one large medical event - a cancer claim, an ESRD diagnosis, premature twins, a transplant – to discover that the documents the employers has aren’t airtight, and may not even align with the employer’s intent. In summary, most employers need to do some homework. Go back to the office and take a look at the health plan document and the employee handbook. Do the two documents reference the same types of leave? Do the documents clearly indicate when coverage under the health plan is maintained during a leave? Do the terms of these documents meet the intent of the employer? What does the stop-loss policy say about eligibility determinations? Can the handbook be used to document eligibility in the health plan? What (if any) changes need to be made to minimize or eliminate gaps, to the extent possible? Don’t let large unexpected claims leave you dead on arrival. Do the leg work now, and figure out what needs to be done to avoid being caught by surprise. Kelly E. Dempsey is an attorney with The Phia Group. She is one of The Phia Group’s consulting attorneys, specializing in plan document drafting and review, as well as a myriad of compliance matters, notably including those related to the Affordable Care Act. Kelly is admitted to the Bar of the State of Ohio and the United States District Court, Northern District of Ohio. SIIA held its annual Self-Insured Health Plan Executive Forum (formerly known as the TPA/ MGU Excess Insurer Executive Forum) March 28-29, 2017 at JW Marriott Tucson Starr Pass Resort & Spa, in Tucson, Arizona. Legislative/Regulatory & Political Advocacy Update Ryan Work, Vice President, Federal Government Relations for SIIA and Adam Brackemyre, Vice President, State Government Relations for SIIA provided detailed updates of important legislative/ regulatory developments and the association’s political advocacy strategy at both the state and federal levels. Regulatory Compliance “Hot Spots” for SelfInsured Health Plans Chris Condeluci, Esq., Washington Counsel for SIIA, discussed current regulatory developments affecting self-insured employers with specific compliance guidance useful to employers and their business partners. How Self-Insurers Can Help Restore the American Dream by Curbing the Healthcare Heist In this TED-style talk, Dave Chase, Executive Producer of The Big Heist, connected the dots on how healthcare’s status quo represents a significant David Chase threat to the American Dream and how employers who sponsor self-insured health plans are playing an increasingly important role in providing real solutions that bring hope to a dysfunctional health care system. Joe Hodges, President, Inetico, moderated a discussion of senior executives of companies operating within the self-insurance marketplace guidance on how to view and evaluate technology strategies in a way that will help them grow their business and strengthen their corporate brands. Diamond Members Zelis™ Healthcare Announces Acquisition of Strenuus® Zelis Healthcare, a market-leading healthcare information technology company, is pleased to announce the purchase of Strenuus. Overland Park, Kansas-based Strenuus is a healthcare information technology company and provider of healthcare provider network analytics. Strenuus is the largest collector of managed health care data in the U.S., delivering actionable network insights to health plans, data analytics and healthcare provider data companies, healthcare exchange platforms and employee benefits consultants. The Strenuus acquisition further enhances Zelis’ healthcare data analytics product portfolio supporting payer clients. Strenuus is now a part of the Zelis Network Solutions business unit led by Tina Ellex, President. “The combination of Zelis and Strenuus further expands our Zelis integrated cost management and payments platform and enables Zelis to provide our payer clients with enhanced support of network access, quality and cost optimization efforts. This is particularly important as many payers seek to deliver high performing, cost effective, narrower networks that meet the changing needs of employers and members,” said Doug Klinger, CEO of Zelis Healthcare. “We welcome the Strenuus team to Zelis. They have technology and provider data coupled with their deep experience and background in provider analytics that have positioned them as the premier company in our industry. I look forward to offering their solutions to our healthcare payer clients in an evolving marketplace,” said Tina Ellex, President of Network Solutions for Zelis Healthcare. “We are thrilled to join Zelis. We look forward to providing greater impact for the healthcare community with our continued focus on product enhancements and new product development,” said Matthew Mellor, CEO of Strenuus. About Zelis Healthcare Zelis Healthcare is a healthcare information technology company and market-leading provider of end-to-end healthcare claims cost management and payments solutions. Zelis Healthcare focuses on network solutions, claims integrity and electronic payments for healthcare payers, providers and consumers in the medical, dental and workers’ compensation markets nationwide. Zelis Healthcare is backed by Parthenon Capital Partners. 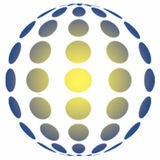 About Strenuus Strenuus is the leader in healthcare provider network analysis and data management. Their flagship platform, Network360®, delivers actionable network intelligence services to payer clients nationwide. Strenuus also powers consumer-facing solutions for leading benefit consultant and healthcare IT companies with the only unified provider search in the marketplace and manages the industry’s largest network dataset, sourcing from thousands of commercial medical, dental, Medicare, Medicaid and specialty business lines. Jon Tolzin has been named Regional Vice President in the Northwest, heading our Minneapolis Regional Office. His responsibilities include, managing underwriting, marketing and risk management services for QBE›s Medical Stop Loss products. His regional office serves brokers and TPA partners throughout 14 states. With 23 years of insurance experience, Tolzin moved to increasing levels of responsibility in underwriting at both ASO and standalone stop loss carriers. He holds a Bachelor of Arts degree in Economics from the University of Minnesota. Ed Wadhams has been appointed Vice President, A&H National Partnerships. In this role, Wadhams will be responsible for positioning our business priorities with top producers in the U.S. In conjunction with our global strategy, Ed will work collaboratively with our Field Operations team to focus on increased visibility and profitable growth with select national partners. In addition, Wadhams will further collaborate and execute the strategy with our regional vice presidents, regional underwriters and business development staff. He holds a Bachelor of Science degree in Communications from the University of Tennessee. “These appointments demonstrate the importance we place on underwriting excellence, industry expertise and customer service,” said Steve Gransbury, President -- Accident & Health, QBE North America. “By identifying employees with unique skills and experience, while providing them with opportunities for impact in key leadership positions, we further invest in our development culture and our organization’s greatest asset, our people,” he added. Serve as the primary trainer and resource for UW, new hire, and general product training. Work with SL leadership team to assess baseline and prospective learning and development needs. Evaluate data from Employee Engagement Survey, Brighter Way Initiatives, and varying VoC collection activities to identify key areas of focus. Collaborate with leaders to assess specific needs by functional area and identify expected resource commitment required to develop and deliver training content. Develop and implement learning strategy aligned with overarching Stop Loss strategic plan and identified learning and development needs. Drive plan for comprehensive learning and organizational development initiatives across Stop Loss. About QBE QBE North America is part of QBE Insurance Group Limited, one of the largest insurers and reinsurers worldwide. QBE NA reported Gross Written Premiums in 2016 of $4.6 billion. QBE Insurance Group’s 2016 results can be found at www.qbena.com. Headquartered in Sydney, Australia, QBE operates out of 37 countries around the globe, with a presence in every key insurance market. The North America division, headquartered in New York, conducts business through its property and casualty insurance subsidiaries. QBE insurance companies are rated “A” (Excellent) by A.M. Best and “A+” by Standard & Poor’s. Contact Amy Sandusky, AVP, Marketing Business Partner, Marketing & Communications, at amy.sandusky@us.qbe.com and visit www.qbena.com. Sun Life Seeks Associate Director, Stop-Loss Training and Learning Development Role Summary The Associate Director, Stop-Loss Training and Learning Development will drive the business unit’s training and learning development strategy with the goal of increasing the expertise and talent across the collective organization. The Associate Director will work closely with stop-loss business leaders to assess learning and talent development needs across the business, and then develop and execute on a robust multi-year strategy to meet the identified needs aligned to our key business goals, imperatives, and initiatives. Initially, a key focus will be on underwriting training. Create metrics and reports to evaluate and present findings related to training impact and effectiveness. Establish a framework for continuously measuring success of learning initiatives. Interested candidates should email resume to Margaret Peterson at Margaret.Peterson@ sunlife.com. About Sun Life Sun Life offers a variety of stop-loss insurance products and services that provide a great source of financial protection -- allowing companies to limit their liability for claims and maintain the budget. You can depend on their excellent sales, underwriting, and claims service. Plus, they deliver opportunities for companies to save money through cost-containment resources that can help lower health care costs even before a stop-loss claim occurs. Visit www.sunlife.com/us/. HHC Group Launces New Website HHC Group announces the launch of its new, updated website â&#x20AC;&#x201C; www.hhcgroup. com. This site is designed to give insurers and those who manage their cost-containment efforts an introduction to the company and its suite of highly-effective, cost-containment services. The site is also designed for use by HHC Groupâ&#x20AC;&#x2122;s clients. It enables them to effectively and efficiently manage their claims-related, cost-containment efforts. Using the website, they can now securely submit claims, track claim status. They can download processed claims files, review their claim history, create reports and more, 24 hours a day seven days a week. About HHC Group HHC Group is a leading national health insurance consulting company providing a wide range of cost containment solutions for Insurers, Third Party Administrators, Self-Insured Employee Health Plans, Health Maintenance Organizations (HMOs), ERISA and Government Health Plans. HHC Group utilizes a combination of highly skilled professionals and advanced information technology tools to consistently deliver targeted solutions, significant savings and exceptional client service. For additional information about HHC Group, its new website and our services, email info@ hhcgorup.com or contact Bob Serber at rserber@hhcgroup.com, 301-963-0762 ext. 163, and visit www.hhcgroup.com. HHC Groupâ&#x20AC;&#x2122;s services include Claim Negotiation, Claim Repricing, Medicare Based Pricing, DRG Validation, Medical Bill Review (Audit), Claims Editing, Medical Peer Reviews/ Independent Reviews, Independent Medical Examinations (IME), Case Management Utilization Review, Data Mining, Disease Management and Pharmacy Consulting. Serve as the lead resource for Medical Underwriting & Clinical Claims Management within the A&H division. Identify potential high dollar medical claims, and project the expected claim costs for both prospective new business and in-force accounts. Build strong relationships with internal and external clients to communicate risk factors, projected cost of claims, and facilitate communication with all parties to achieve cost savings on potential high dollar claims. Manage, mentor and develop the HIIG A&H CRM staff. Bachelor’s Degree with RN license required. Ten years of relevant experience in medical underwriting, claims or cost containment, preferably with a stop loss carrier. Malvern, PA, Indianapolis, IN, Wakefield, MA, Atlanta, GA, Dallas, TX, Scottsdale, AZ. HIIG is a Houston based, fast expanding insurance group that provides creative solutions for our clients’ specialized needs. HIIG writes business throughout the USA and Internationally through its underwriting divisions that include Accident & Health, Construction, Energy, Professional, Transactional Property, and other Specialty business. Visit www.hiig.com and www.hiigah.com. Gold Members Berkshire Hathaway Specialty Insurance Seeks Stop-Loss Medical Risk Consultant Medical Risk Consultant Berkshire Hathaway Specialty Insurance is seeking a medical risk consultant to join their medical stop loss team. The ideal candidate will utilize professional and clinical knowledge to assess risk. These activities will provide BHSI medical stop loss underwriters, claim auditors and external clients with appropriate clinical assessment of the anticipated care needs and potential costs of identified claimants. Interested candidates should email their resume to HR@hiig. Effectively explain complex clinical conditions to internal and external clients. Build strong relationships with internal (UW’s, Claims) and external clients (TPA’s, external CM’s) to communicate risk factors and projected cost of claims. Evaluate and assess both new business and renewal large claims/disclosure, clinical and claims data to identify known and potential risks and make potential cost recommendations to the stop loss underwriting team. Serve as the lead resource for underwriting in identifying potential large claims, and to project the expected cost of the potential claim. Quickly, thoroughly, and correctly assess a potential/actual claim situation to successfully influence risk decision makers, resulting in meaningful clinical and/or financial outcomes. Document and effectively communicate claim projections and rationale to stop loss underwriters. Develop a tracking system of claim cost projections and their effectiveness in reducing stop loss claims costs. Five years of relevant experience, preferably with stop loss carrier. Working knowledge of stop loss insurance policy and contract language. Verified knowledge of ESL Office, particularly the Underwriting, Claims and Policy Administration modules. Excellent oral, written, and interpersonal communication skills to achieve positive outcomes. Interested candidates should email their resumes to Ruth Weaver at Ruth.Weaver@bhspecialty.com. About Berkshire Hathaway Specialty Insurance Berkshire Hathaway Specialty Insurance provides medical stop loss, commercial property, casualty, healthcare professional liability, executive and professional lines, surety, travel, programs, and homeowners insurance. Visit www. bhspecialty.com.